I was at a Yankee Swap a couple of years ago and the gift that I would have loved to take home was full of homemade goodies: a cute cable knit hat, homemade apple butter and homemade granola. It was the gift a friend had put together, gathered from her stash of homemade items that she had been making over the past few weeks. “We’re doing all homemade gifts this year,” she told us. 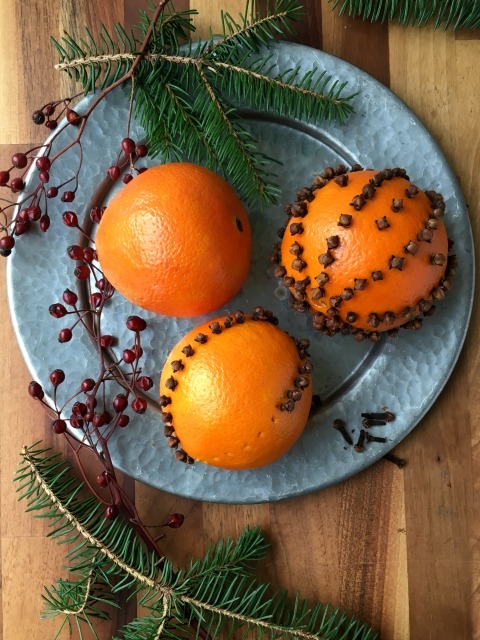 It got me thinking about easy homemade and edible gifts that anyone can make if you can grab a spare half hour here and there. I love the idea of homemade gifts and not just because I prefer to avoid the mall. Homemade gifts are extra special, always thoughtful and tend to be on the practical side so get put to good use. If you get into an annual habit you’ll find that people will look forward to receiving your special gift and it just might become part of their holiday traditions too. 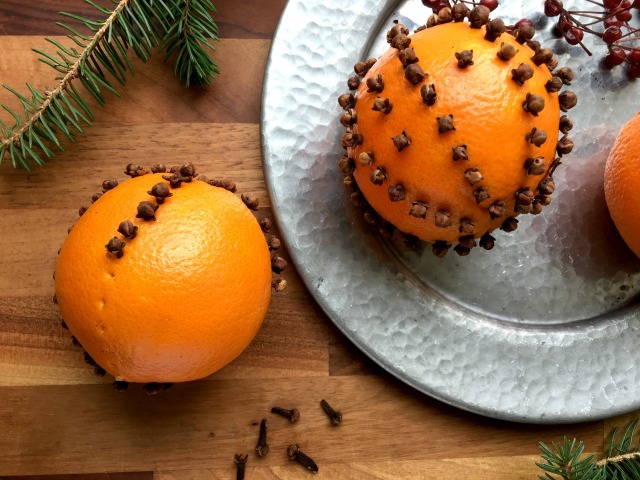 The simplest of homemade gifts, pomanders are oranges studded with whole cloves. They have an old fashioned charm to them and a lovely scent that will last beyond the holiday season. When we were little we’d spend an afternoon around the table making them with mom so there would be a bowlful by the end of the day. You’ll need a lot of whole cloves so I suggest you buy them in bulk. Then you push the pointy end of the clove into the orange to create a pretty pattern. The cloves will help to preserve the oranges so they don’t go mouldy. 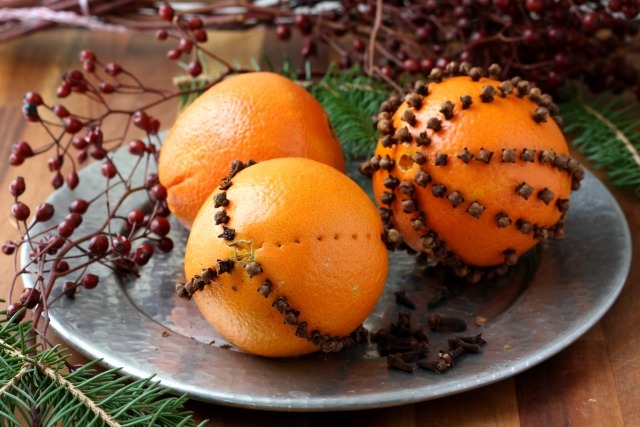 To make it easy to get the cloves in, first pierce the orange skin with a nail or wooden skewer. 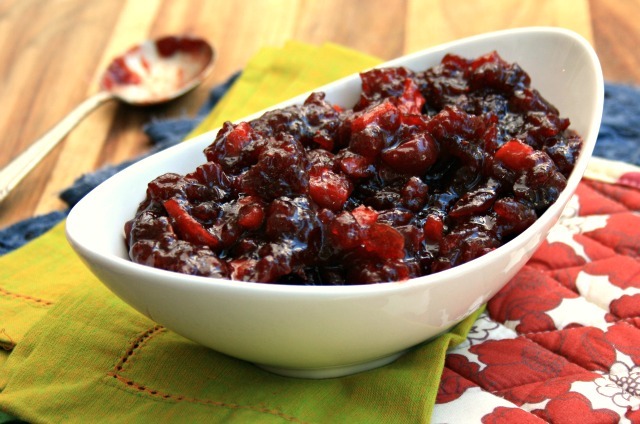 In a medium saucepan over medium heat melt the butter with molasses, sugar, spices and salt. Stir to combine and continue to stir until sugar has dissolved. When mixture starts to bubble add nuts and stir until well coated. Turn nuts onto a parchment lined baking sheet, spread in a single layer, and bake at 300 F until nuts are nicely toasted, about 20 minutes. 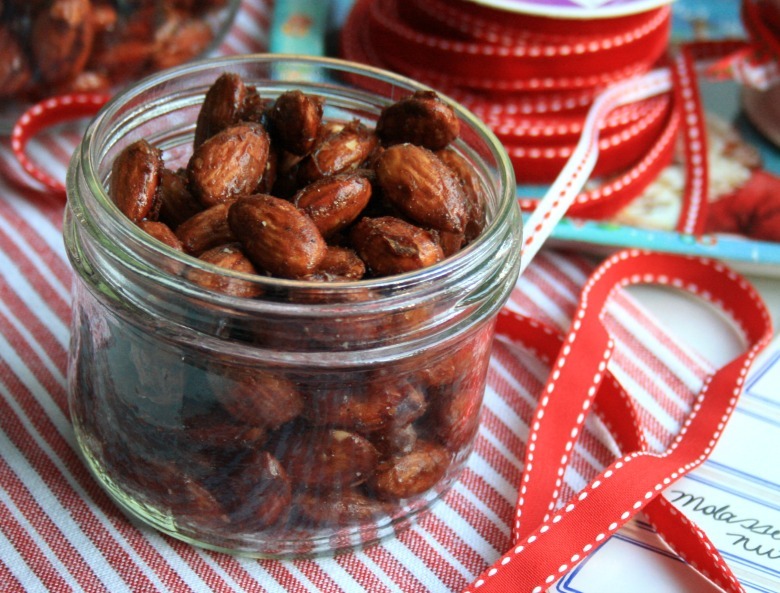 Stir from time to time while baking and begin testing after 15 minutes or so (you don’t want the nuts to get too brown).